Dar Souad is a 19th century hacienda reminiscent of Andalusia. Expansion and renovation lasted three and a half years with a view to keep a vintage architecture along with the comforts of our time. 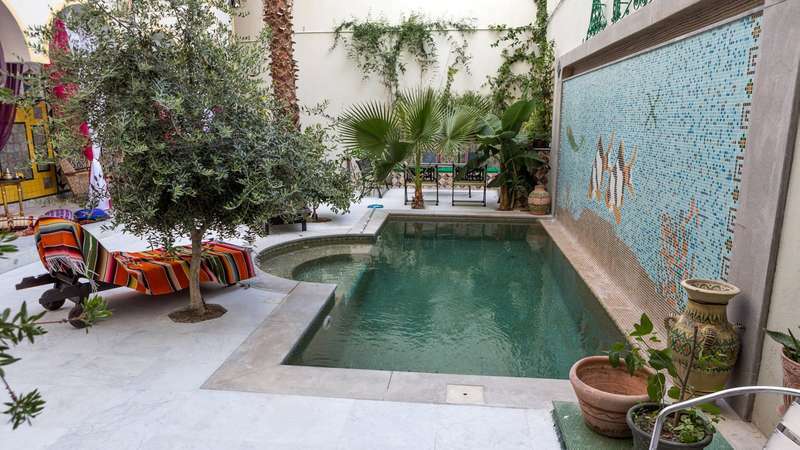 Dar Souad is in the city center, but as an Arab house it feels like only the people inside with openings mainly on a large patio with a pool and a waterfall for a cozy atmosphere. A large lounge is available and local specialties revisited can be enjoyed in the dining room on request. A continental breakfast is offered daily. 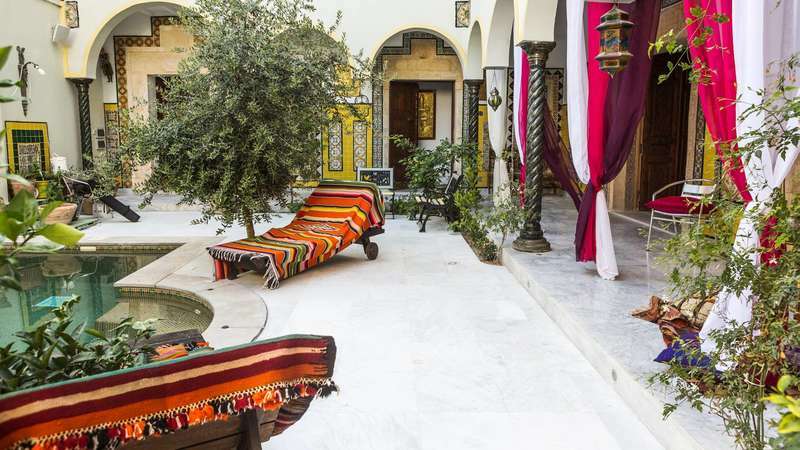 5 rooms "Dar Souad" each with its own style and each opening onto a large terrace (8 to 12 m2). Each room has a private bathroom and some feature a bathtub. Tour guides and airport transfers are available on request. The total payment for the stay is the day of arrival. Payments by credit card or check are not accepted. 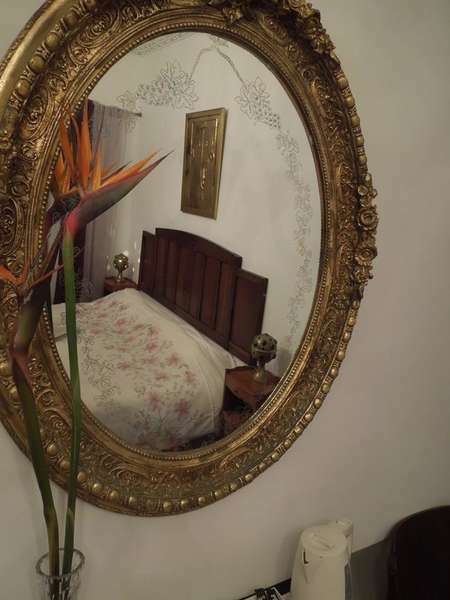 Nightly rates include room and breakfast. The guest house is non-smoking in enclosed spaces.